BATON ROUGE — More than any other medium, radio represents the heartbeat of Baton Rouge. It’s where we go for the latest weather, breaking news, sports, and music. Radio has changed, but our attachment to the automobile has kept radio ever present. Radio is the best medium — the safest medium — for the highway. It uses just enough brain capacity to keep you entertained and informed but not so much that it is likely to cause an accident. Every other medium seems to have its ups and downs but, for now at least, radio is holding steady. In Baton Rouge, the history of radio begins with WJBO. For nearly 80 years, it has been our reliable friend and companion. This is Part I of the Capital Radio Wars! There have been many significant moments in the history of NewsRadio 1150 WJBO, but few have been as important as that day in 1988 when manager George Jenne signed up a little known conservative talk show host named Rush Limbaugh. At first, it must have seemed a disastrous decision. WJBO had a slew of pantywaist talk show hosts such as Dr. Dean Edell and Bruce Williams, which the station’s liberal listeners seemed to like. Rabbi Barry Weinstein was protesting outside the station. It was, quite simply, a nightmare. Baton Rouge had never had a rip-roaring conservative on the air day after day, and Baton Rouge apparently wasn’t happy. Then, after two weeks, everything seemed to change. New people were tuning into WJBO, and the tired old station suddenly had new life. Everybody was talking about Rush Limbaugh. They loved him or they hated him, but mainly they listened to him. Looking back, one can see that the decision to sign Limbaugh and stick with Limbaugh through the protests has to be the single most important decision that has insured the station’s survival. Every commercial radio station survives on advertising, but to sell advertising, it has to have listeners. 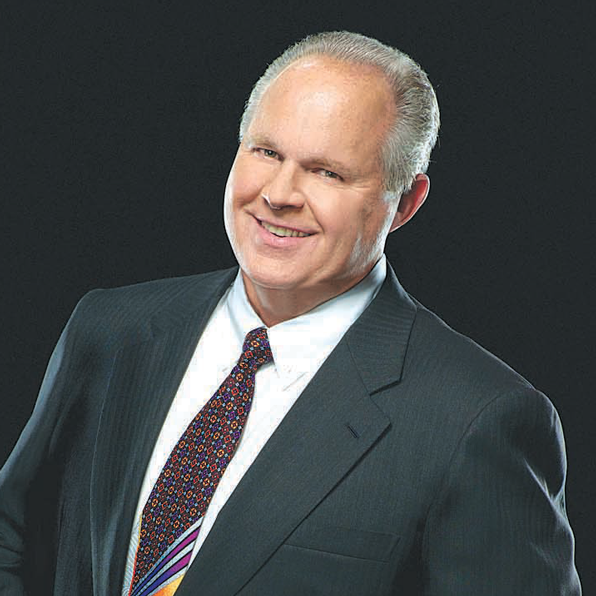 For 25 years, Rush Limbaugh has been pounding away on WJBO, and people have been listening. But WJBO is far more than one talk show personality — even if he is the most successful in history. In December 2014, Hudson says WJBO will celebrate its 80th anniversary in Baton Rouge, and something special will be planned. Actually, the history of WJBO goes back even farther than 1934. It was born in 1922 during the infancy of radio. It broadcast from the basement of Valdemar Jensen’s home on South Patrick Street in New Orleans. The station, which was heard even then on 1150 AM, was sponsored by the Times Picayune newspaper. It adopted the call letters WJBO in 1926 and became the first commercial radio station in the South. WJBO also became one of the first stations in the country to broadcast news, thanks to its relationship with the Times Picayune. In 1932, the Manship family purchased the station and moved it to Baton Rouge. Its first broadcast here was in December 1934. By 1941, its power was increased to 5,000 watts, a formidable increase compared to Jensen’s basement experiment. During World War II, WJBO built a new transmitter in West Baton Rouge Parish. The federal government, worried about possible bombing attacks, required the station to build its transmitter underground. Today, that bomb-shelter transmitter site is still being used by the station. From the air, it cannot readily be seen. Ironically, fast forward to 2013, WJBO may be one of the few radio stations in the country that doesn’t have to worry about a drone attack, Mike Hudson laughed. Thanks to the engineering of Richard Petty, WJBO has recently “powered up” by increasing its power to 15,000 watts and improving its coverage area. “It’s a 10-fold improvement,” said regional operations manager Bob Murphy. Today, in addition to Rush, the station relies on nationally syndicated talk show hosts such as Sean Hannity, Glenn Beck, Mark Levin, and now Michael Berry. Michael Hudson is enthusiastic about Michael Berry, a bomb-throwing conservative from Houston who, like Limbaugh, evokes love or hatred but never neutrality. With the threat from the Internet and every imaginable form of competition, WJBO will need its share of awesome attractions. Right now, it is relying on stalwart newsman Kevin Meeks, whose 40 years’ experience gives him an edge. He rides away from the station on his Harley after his show. Don Grady, an equally experienced newsman, truly a household name in Baton Rouge, is there to provide credibility and a calm voice for the news. Newcomer Karen Henderson has come over from public broadcasting. She brings youth and true brilliance, Hudson said. She offers a delightful balance to Meeks in the morning. The news operation is anchored by Bruce Collins, a veteran newsman with extensive major market experience. Hudson and Murphy worked for over a year to get Collins to Baton Rouge, and they say it was well worth the effort to bring Collins’ expertise into the fold. WJBO is one of Clear Channel’s stations in Baton Rouge, but it stands apart in many ways. Perhaps the commitment to news and the community makes the station stand for more than money, more than an investment. It’s the kind of property that owners and employees can be proud of. In the changing world of communications, Clear Channel has a deep commitment to digital. It owns iHeartRadio, which allows one to listen to stations all over the country. “Even our competitors use our technology to reach the world through iHeart,” Hudson said. In addition, the Clear Channel stations in Baton Rouge, including WJBO, have their own HD versions, such as the Downtown Radio.